Above are the main events that I had for 2012. For gadget wise, It was quite a slow year though, I haven’t been very active on blogging, nor catching up with tech news as I’m already jam-packed. iPad Mini and Macbook Air are the only 2 main purchase I had. All I can say is iPad Mini is the iPad I have been waiting for. Size wise, I think it really make more sense to me than the regular 9.7″ iPad. 13″ Macbook Air is the best laptop I have ever use in my life, SSD really make a great difference. What’s on for 2013 then? New Member to our Family! That’s all folks. 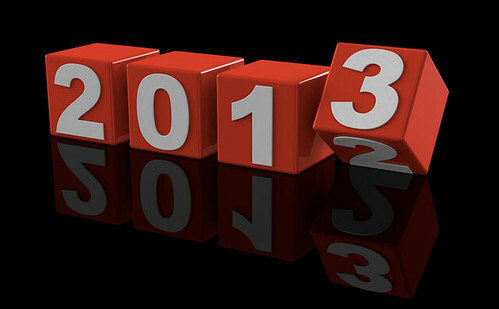 May all of you will have a great 2013 and Happy New Year! I haven’t been a blogger for very long… To be exact, close to 1.5 years… UsingApple.com‘s first blog post is on November 2009. I was never a Apple Fan boy, nor do I use any Apple product. Thanks to my girlfriend and parents who bought me an iPhone 3G for my birthday 2 years ago and turned me into one. I bought my Macbook Pro on June of 2009 and there it drove me to create UsingApple blog sharing Apple related news, tips and tricks on it. Below is the progress of my Apple Blog for the last 20 days… Better impressive from my own point of view… I remember those were the days when my blog only have 1-2 views and I finally got a average of 300-400 unique per day. Thanks everyone… I will continue to blog more…Haha!